Post Concussion Exercise: What and How Soon? Posted May 1st, 2016 by Mike Boyes & filed under Clinical Neuropsychology, Health Psychology, Neuroscience. Description: There has been a lot of attention in the media lately as well as a major motion picture focusing on the issue of concussion among both professional and amateur athletes. Given the degree of concern of this discussion is raising for young athletes involvement in sports with high rates of concussion it is important to know how concussions should be managed. What do you know about what is currently believed to be the appropriate standard practice for athletes to follow after receiving a concussion? For example, how long should they rest for going back to active exercise following a concussion? Think about it and then see what the article linked below has to say. 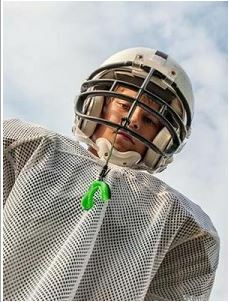 Source: Quicker Resumption of Exercise May Be Best for Concussions, Janice Wood, PsychCentral. The research article upon which the media story linked above is based has not yet been published in a journal but will be presented shortly at a scholarly conference. Some of the links below under “further reading” provide a little more information about the study. The study conducted by Roger Zemek and his colleagues at the Children’s Hospital of Eastern Ontario looked at or 3000 Canadian children who sustained concussions and who were given the medical advice to rest for several weeks prior to commencing exercise. What they found, perhaps surprisingly, was that most of the children returned to exercise in less than a week and that in fact beginning to exercise within seven days of the concussion seem to be clearly associated with a more rapid reduction in the number of concussion related symptoms they were experiencing when compared to children who follow medical advice and rested without exercise for several weeks after sustaining a concussion. Data from the sort of large-scale study will be helpful in the ongoing efforts to tune-up the post-concussion protocols that amateur and professional athletes are recommended to follow after having sustained a concussion. What did the research described in the article linked above have to say about the relationship between the resumption of exercise and the reduction of symptoms related to concussion (both in terms of timing and intensity)? What are some of the implications of the fact that one of the initial findings of the study discussed in the linked article above was that a strong majority of child concussion patients did not follow the doctor’s advice? Based on information provided in this article and other information that you either could obtain the further reading list below or one or other of your psychology classes or through your own research online what sorts of policy considerations are we to be reflecting upon in relation to concussion in young amateur sport? Further, what sorts of data might we need to collect in order to properly address the first part of this question?